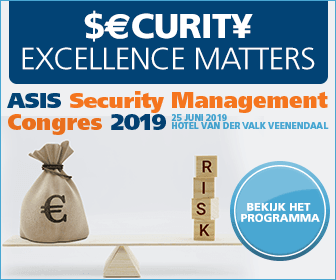 On 25 June 2019, the ASIS Benelux Security Management Congress takes place. The theme of the congress is 'Security excellence matters- the real cost of inadequacy' and revolves around the question: can we actually afford bad security? Interested in joining this event? All partners of HSD will receive a discount and pay €99 per person. Security managers in the public and private sectors are still searching for the balance between the mission and goals of the organisation on one side, and proper protection of the ‘assets’ on the other side. When it comes to security, investments are made frugally. When there are no incidents, one would be tempted to believe the security as it is now is fine. But the adequacy of the health care industry can suddenly become, in case of a calamity, a matter of national or international press. The press, the public and politicians are quick to doubt the preventive risk mitigating measures that were taken. Take a look at the entire programme .